faithful, because look at it. 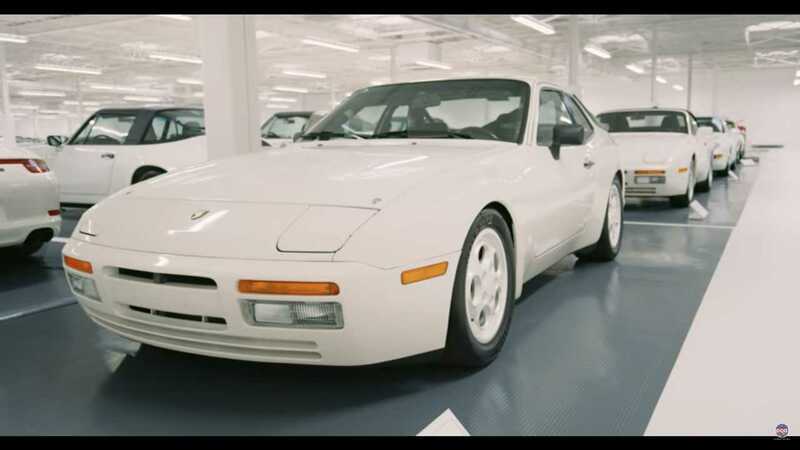 Not only are the vast majority of the 65 (yes, 65) Porsches in this collection wearing a shade of white, the building itself is awash with white. Even the furniture is white, along with the upstairs portion of this incredible garage that contains all kinds of literature and Porsche memorabilia. We’ll talk more about that later.